Beginning 1/2/11, CVS will have a deal on Excedrin. Buy $20 of ANY Excedrin products and get $10 ECB (limit 1). If you have requested the free Excedrin coupons, found on Coupons.com, you may be able to make $10 just by doing this deal! Pay $0 and get back a $10 ECB! Even if you haven’t received your FREE Excedrin coupons yet, you can still score a great deal by using the $2.50/1 Excedrin PM coupon from the 12/5 SS insert. $5 Happy Holiday Credit from NoMoreRack!! Anyone who previously signed up for NoMoreRack should see a $5 Happy Holiday Credit in your accounts. There were gloves for $8 today...wouldv'e been a nice deal with the credit! Let's see what today brings. New deals everyday at noon. Didn't sign up yet? Head HERE! Thanks to onefrugalchick.com for this scenerio! Apparently Progresso is 2 for $3 this week... AND each can prints a register reward of $1. Go buy 16 cans for $24, then add something to bring your total to $25 so that you can use this printable coupon HERE, bringing it to $20 OOP. Now, you should get 16 $1 register rewards printed out on your receipt to use on another purchase, so now you have 16 cans of soup for $4! Be sure to use your register rewards before they expire, Rite Aids don't seem to last too long! Use the code HNY987 at Blockbuster Express to rent 2, get 1 free. The code is valid through 12/31/10. GO HERE to print a FREE Arby's Jr. Shake coupon! There is no other purchase required! The coupon is limited to one per customer. The coupon is valid at participating locations and expires 1/2/10. Head here to get a coupon and free sample of emergen C blue. Snapfish has 50 free prints for new accounts only. You will need to pay shipping. Kodak also has 50 free prints for new members only. You will need to pay shipping. 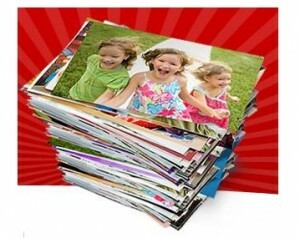 York Photo has 40 free prints and any additional are Buy One Get One Free ($.04/2) up to 400 total prints. You will also need to pay shipping. Use promo code: B1G1PRINTS. The shipping for all three should be just a few dollars so not matter what a great deal! Find the Yankee candle sale HERE. Thanks to for the mommas for the list of deals at Giant this week! Is "organize" on your resolution list??? Chex mix at Walgreens...New Year's Eve snack? 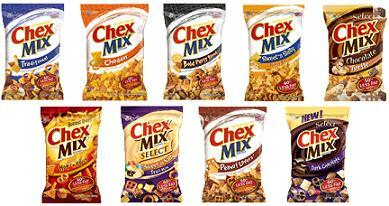 Do the following transaction to get 5 FREE Chex Mix & Make $1.05! Final Price: $2.45, Get Back $3.50 RR = $1.05 Money Maker! Head here to go to Bath and Body online to score up to 75% off certain items! Use code PERFECTGIFT10 for $10/$30.